It was because of Instagram that I got to know about Stay on Skill. Started following them and found this really innovative and “Cool” platform. Got to know about their 1st travel talk at Amritsar and instantly applied for it, without even giving it a second thought. It was a 3 days trip (with strangers). So basically “traveling in India” can be free. SOS is making this all-time millennial’s dream possible now. Well, it’s a barter. As their name suggests, you can get free stay and food while traveling if you have some sort of skill. They will connect you to the host in a particular city (say, Goa, Kolkata, etc. ), where you can go, teach your skill and avail free stay and food. Isn’t that cool? How beautifully they have created a platform for skilled people wherein they get this chance of showcasing and teaching their talent and for ones who wish to learn something new. A place of stay does matter whenever you are out on a trip. And over the period I have shifted to hostels from hotels. On my visit to Amritsar for TravelX Meetup, I got to stay at Nomads Hostel. It was not for a single minute that I felt out of the place or new or something like that. From quirky interiors to aloo paranthas in kitchen, everything was just perfect there. Also, I have visited their Kasol Branch, and that’s equally wow. Get to know more about them on their Website & Instagram. 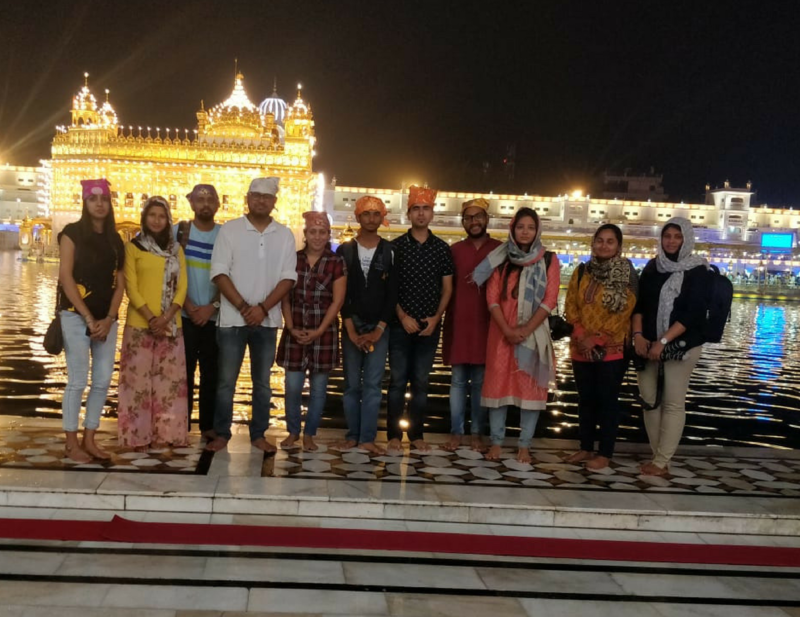 SOS conducted it’s first travel talk in Amritsar (April 2018) wherein they invited a bunch of skilled people to share their experiences and learnings. I felt so glad to be a part of such meetup and got a chance to network with an amazing set of people. Bloggers, Cinematographers, Photographers, Doodlers, Bikers, Videographers, Musicians etc. In short, it was an amazing learning experience. Few people from Amritsar also came for the talk. The venue for talk was Café Chokolade. Courtesy City on pedals that I got to know that Amritsar is far more than Golden Temple and Wagah Border. It’s one of the coolest startups that I ever came across. I mean, taking people out on a guided bike trip around the city and introducing them with different varieties of food and history too, that’s just too innovative. It’s economical, environment-friendly and a healthy option. Also, the team is too passionate and proud of what they are doing and that’s the best part. I went on a food tour with them and honestly, that’s one of my crazy experience ever. Tasted almost 10-15 authentic dishes. I really wish them to expand their geographical coverage. I am going to be a part of Stay On Skill meetup as and when possible. Those 3 days of the trip were very enriching and motivating. I definitely recommend this to anyone & everyone out there who possess some skill & wish to travel. Wishing all the luck & power to Stay On Skill. Here is a small video of introduction of the team members who attended the SOS Meetup. This video is by Jony Jindal. Have a look at my Tirthan Valley experience with SOS. ← What to always pack for a trip ?